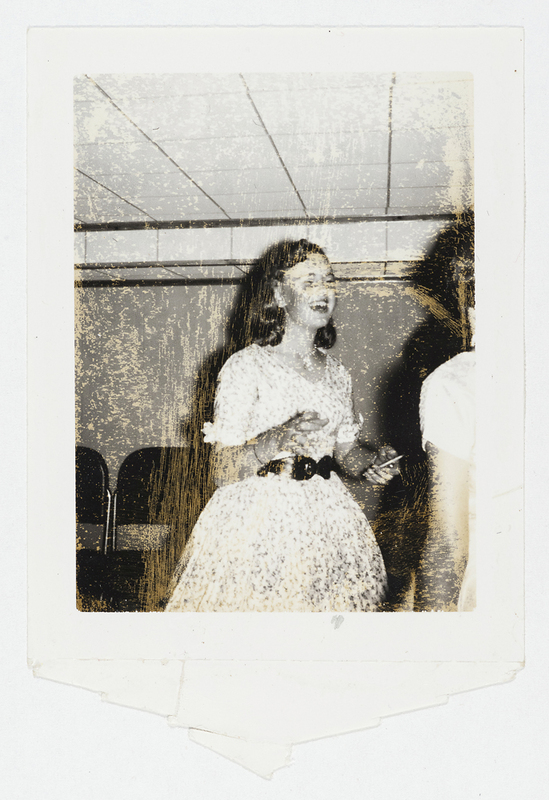 Deborah B. Orloff began her series “Elusive Memory” (2013-2014) by searching through family photo albums stored in her parents’ basement and discovering the once-precious images now neglected and falling apart. 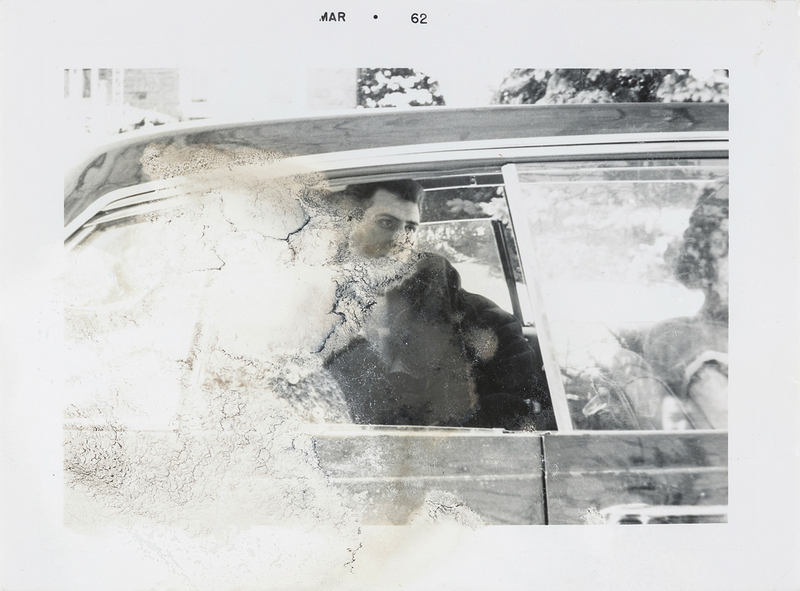 As photographic prints age and become exposed to the elements, they deteriorate, fade, shift in color, and warp. 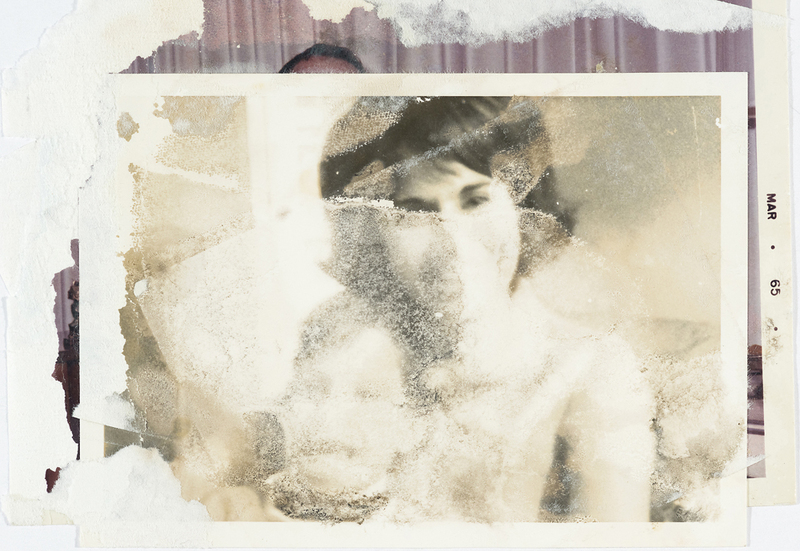 Though this aging process, parts of Orloff’s family images have become obscured, and thus transformed into new, unique objects. 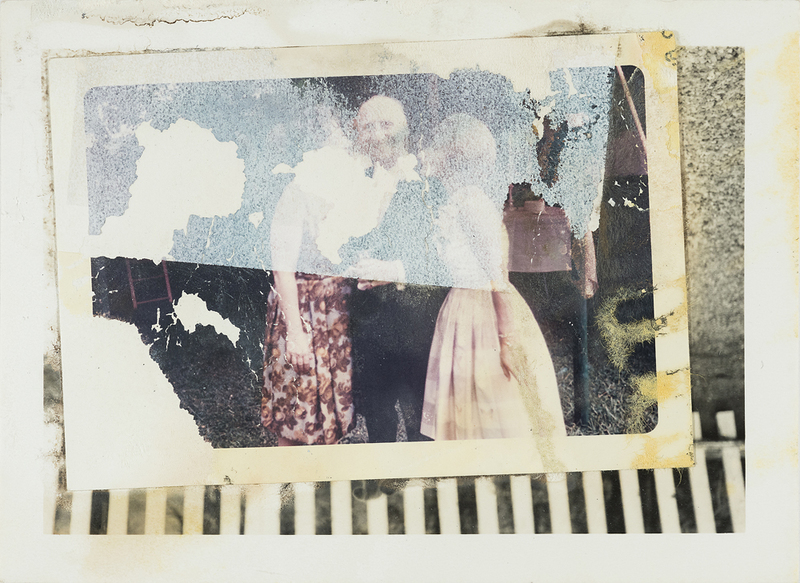 Orloff photographs the faded and stuck together prints to highlight the nature and complexity of deterioration and to re-contextualize her personal family relics into objects that speak to loss and memory. 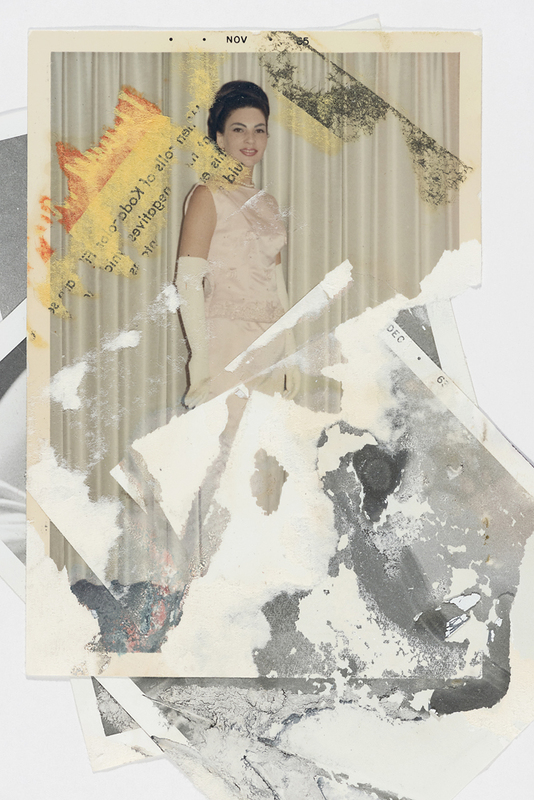 The series as a whole reveals the complexity of memory and its relationship to photography; how memories, like photographic prints, feel permanent but in fact are ephemeral. Deborah B. Orloff completed her MFA from Syracuse University (1992) and her BFA from Clark University (1986). 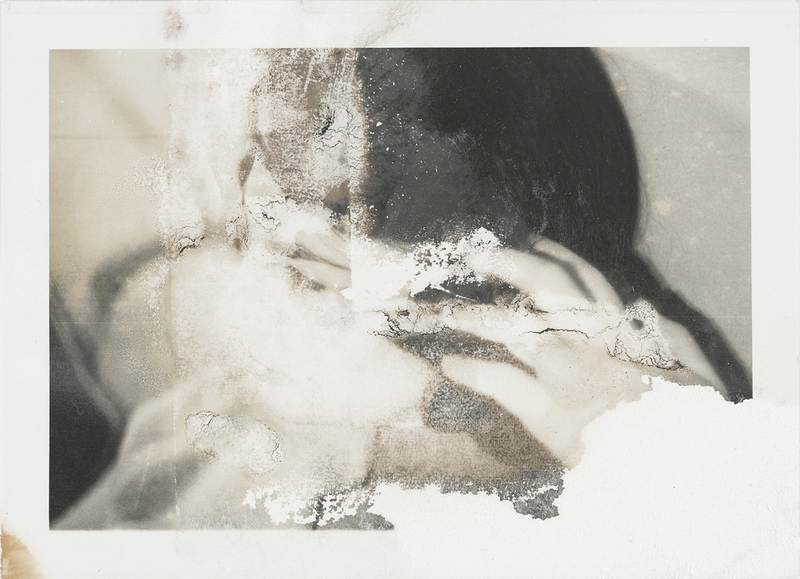 Her work has been exhibited widely across the United States. Selected solo exhibitions include: Tuska Center for Contemporary Art, Lexington, KY (2014)and Center for the Visual Arts, Toledo, OH (2009). Selected group exhibitions include: Toledo Museum of Art, Toledo, OH (2010, 2008, 2007, 2001, 1997);); Butler Institute of American Art, Youngstown, OH (2008); Columbus Museum of Art, Columbus, OH (1996); Whitney Museum of American Art, New York, NY (1993). She has been the recipient of numerous grants and awards, including and individual Artist Fellowship from the Ohio Council of the Arts (2001) and a grant from the National Endowment for the Arts (1998). She is currently a Professor of Art and the Director of Photography at the University of Toledo in Toledo, Ohio.